The solution to change these desperate conditions that exist in many regions of Africa and India must be mulch-faceted to accommodate a variety of conditions. Aakash International provides Afridev Hand Pumps and India Mark II hand pumps to withstand drought. We wish to prevent the water drought, not react to it. It’s the only way to actually prevent the drought cycle from occurring when regional weather patterns change periodically. And it has been suggested by many scientists that as global warming evolves, drought cycles will become more common and for longer durations in many regions of the world that are currently in a water-stressed condition. In reference, in 2001, the United Nations Environmental Program (UNEP) asked various organizations to perform an investigation of groundwater availability in water-short regions of the world. 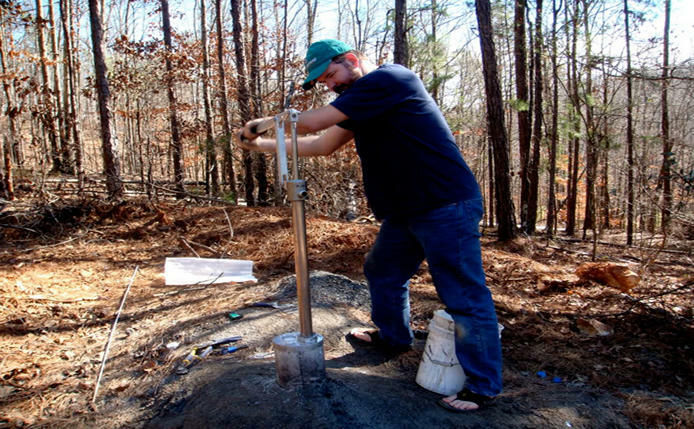 That investigation was documented in a report entitled: Groundwater Availability Study for Water-Short Developing Countries, where it was shown there are significant groundwater assets available even in some of the most drought-prone areas of the world. Although available, these groundwater assets are not being used today because often the leaders of drought-prone countries do not possess the political will to drill water wells for their own people. Often there is enough water to save thousands of lives just 100 to 300 feet away. Where? Underground. Therefore we bring Afridev hand pumps and India Mark II hand pump and equipment to rural areas in order to provide life-giving sources of water. 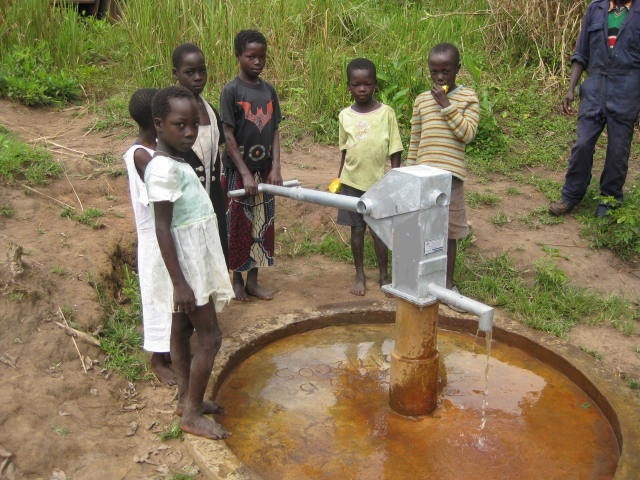 Hand pumps are used primarily in developing nations as a manually powered means of bringing water to the surface from a borehole, rainwater tank or well. The main types of hand pumps we offer are the India Mark II, the India Mark III, and the Afridev deep-well (30 – 40 m deep) pumps. Village Level Operation and Maintenance (VLOM) refer to low maintenance hand pumps which can be maintained at a village level, intended to provide reliable long-term service. Some of the features of Aakash international manufactured hand pumps are: Aakash International hand pump so easy to use, a child can pump up to 5 gallons per minute. Aakash International hand water pump so durable, it has a 50-year lifespan. Aakash International hand water is so affordable, you can install it anywhere you need safe drinking water. LEARNS MORE ABOUT THE BEST SELLING HAND PUMPS.